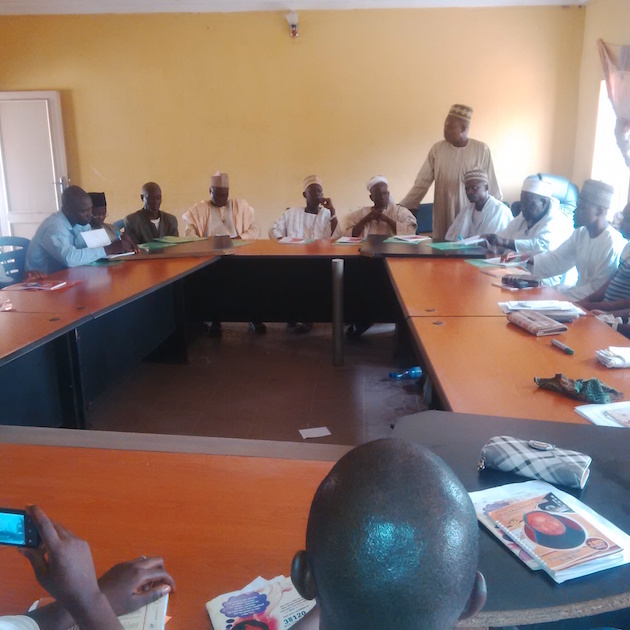 EVA met with the traditional and religious leaders of Rafi Local Government Area in Niger state in March,2015 as a follow up on the issues that have raised by some youths from the same community during a youth advocacy training that was organized by EVA to train young advocates on issues bothering on Sexual Reproductive Health (SRH). The traditional and religious rulers were receptive to the cause as they too are aware of the problems raised and have been worried about how to curb the SRH issues and also the menace of drug abuse which is quite common in their community as it affects alot of young people and also the sanity of the society. They appreciated EVA’s efforts and also that of the young advocates as they show more responsibility at such an early stage of their life in making their community a better and safer place to live and promised to give the required support the young advocates would need in the cause of their work. In Niger state, specifically in the communities of Mokwa, Mashegu, Rafi and Shiroro, the Y-ACCESS project is focused on the Selection and training of community base distributors of family planning commodities and also the traing of youth advocates on Sexual Reproductive Health. The Y-ACCESS project is being implemented in partnership with ARFH, and supported by DFID.